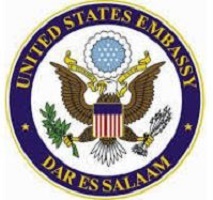 U.S. Embassy Dar es Salaam fosters mutual understanding between Americans and Tanzanians through a multitude of academic and professional exchange programs. These highly competitive programs aim to identify current and future leaders who will go to the United States or come to Tanzania with an open mind and commit to returning to their host country to share what they have learned with their fellow citizens. These exchange programs are open to a variety of profiles including students, researchers, academics, business people, civil society activists and professionals. All FLTA fellows receive a monthly stipend, health insurance and travel support. U.S. host institutions provide tuition awards to support the required coursework. The FLTA program does not provide J-2 visas for spouses or dependents. Be citizens of Tanzania. Persons applying for or holding permanent residence in the United States are not eligible. Fulbright fellows enter the U.S. on an exchange visitor (J-1) visa. Applicants must be residing in Tanzania throughout the application, nomination and selection process. Must clearly demonstrate maturity, dependability, integrity and professionalism. Professional Proficiency in verbal and written English is mandatory. A score of no less than 79-80 on the internet based TOEFL is required. TOEFL scores are not required at the time of application. Candidates recommended by the selection committee will receive fee vouchers towards the TOEFL exam. Applicants must have a Bachelor’s degree by June 2019 with a good academic record. A young teacher of English at the college level or training to become a teacher of English, or is a young professional in a related field. Prior teaching experience is preferred. Important: The FLTA Program is a NON-DEGREE and non-renewable program and those wishing to pursue degree studies in the United States should not apply. All FLTA fellows must return to their home countries upon completion of the nine-month program. No extension requests will be supported. No dependents are allowed to accompany fellows on this program. Pregnant candidates may not participate in this program if the birth is due during the program period. Material misinterpretation (e.g. plagiarism) at any time during the application or grant period is grounds for selection withdrawal or grant termination, as well as ineligibility for future participation. FLTA candidates should be energetic, early career educators capable of succeeding in the dual role of teaching assistant and student. They must have a sincere interest in teaching their native language and culture to U.S. students. They should have leadership skills and the ability to motivate students to learn. FLTAs should have a desire to meet people and become a part of the community by participating in community events and campus activities. They should be creative and self-reliant team players, who are able to maintain excellent relationships with faculty, staff and students. They must be open to living with their U.S. student peers in undergraduate or graduate level campus housing and also engaging with faculty and staff with maturity and professionalism. Preference will be given to candidates who have little or no prior experience living in the United States. Fellows must be flexible with placements at smaller or more ethnically diverse U.S. academic institutions. At the conclusion of the program, Tanzanian fellows will be expected to return to Tanzania, making an immediate impact by utilizing the skills gained and sharing the experiences gleaned from their time in the U.S.
You are required to submit an online application along with supporting documents. Read all instructions carefully before completing the application. For instructions on completing the online application, please click on link to download FLTA application instructions (PDF 828KB). Applicants may only apply for one award per application cycle. Candidates can access the online application at https://apply.iie.org/FLTA2020 . Applications of recommended candidates will be forwarded to the U.S. for further review. The final selection is dependent on the ability to match requests of U.S. host institution with language skills of the candidates.